The Prince George Spruce Kings ran into a hot goalie Friday night. The 20-year-old stole the show with a 40-save performance at the Rolling Mix Concrete Arena as the Victoria Grizzlies edged out the hosts with a greasy 4-3 road win. Chapman and the Grizzlies were swarmed right off the hop eventually being outshot 21-11. However, Victoria held a 3-0 stranglehold at the end of the first period thanks to New York Rangers prospect Riley Hughes, and Alexander and Charlie Campbell. “We knew he was a good goalie coming in (Chapman) and our game plan was to get as many shots on him as possible, get him tired and get traffic and it eventually sunk in,” said Ben Poisson, Spruce Kings Captain. The Spruce Kings broke the dam of Chapman after Ben Poisson lit the lamp shorthanded slapping home a Nolan Welsh pass to make it 3-1. Prince George tied it up before the second intermission courtesy of brother Nick (Poisson) who put home a Chapman turnover from the far corner. Nick Bochen joined the scoring party and ripped a point shot past the screened Victoria netminder, sending the crowd into a frenzy and tying the game at 3-3. Alex Newhook played the hero for the Grizzlies late in the third tucking home a Hughes pass over Spruce Kings netminder Logan Neaton. “I think we outplayed them for a lot of the game and I think we just have to focus on scoring when we get the chance and I think we did our part to keep them away from the net they just ended up scoring on their chances,” added Poisson. Prince George outshot Victoria 43-22 in the game. 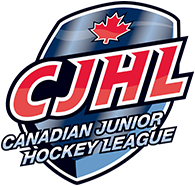 The Spruce Kings fell out of first place in the Mainland Division after the Chilliwack Chiefs defeated the Coquitlam Express 5-4 on Friday evening. 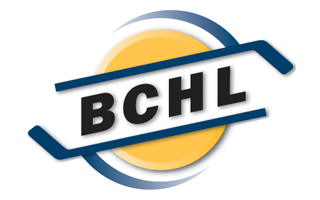 The Powell River Kings will make the trek to the Northern Capital on Thursday when they play the Spruce Kings at 7 PM from the RMCA in a rematch of the 2018 Coastal Conference Championship series.